Concerns have been raised that recently developed accident alert technology won’t be benefiting the very drivers it is aimed at. That’s according to research from insurethebox, which found that motorists aged between 17-21 years triggered over 70 per cent of high impact alerts in 2017. 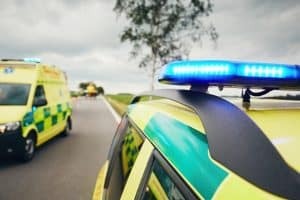 Since April 2018, any new cars built have been required by EU law to come with an e-call button that alerts emergency services in the event of an accident. However, they won’t need to be retrofitted to any cars built before this date, leaving millions of motorists without access to this potentially life-saving technology. Young drivers stand to benefit the most from this feature, but budgets rarely stretch to a new car. When are the alerts being triggered? The research also uncovered some interesting traits regarding when drivers are most likely to trigger accident alerts. In 2017, emergency services were called 145 times via insurethebox’s accident alerts, with drivers who trigger the alerts between midnight and 5am being six times more likely to require an emergency service. Nearly half of all accident alerts (43 per cent) are recorded after 5pm, with the highest number being triggered in December. Finally, vehicles on a 30mph road are six times more likely to trigger high impact alerts.